Another week closed out here at the HITS Desert Horse Park with blue skies, big smiles, and sunshine. 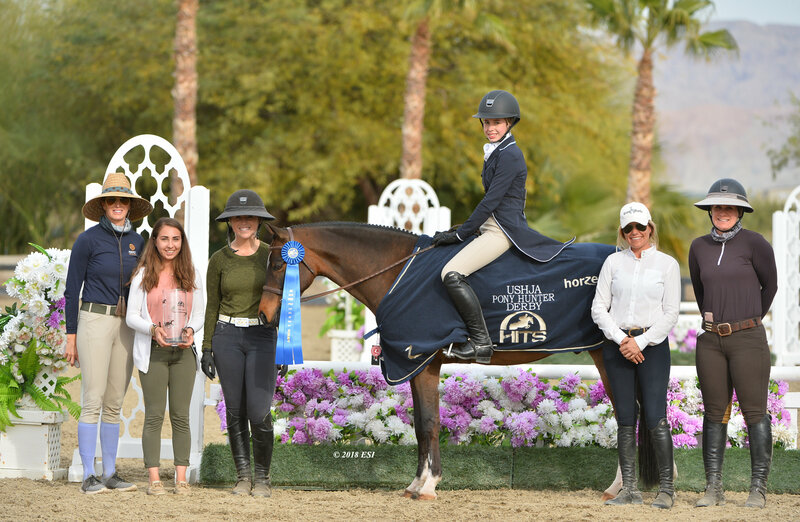 Riders competed for top honors in featured hunter and jumper classes throughout the week, and earned points toward the coveted Horseware Ireland Grand Circuit Champion and Equo Riding Apparel Second-Half Circuit Champion awards. Will Simpson captures the blue ribbon in the $30,000 SmartPak Open Prix aboard CHACCO P.
Spooner and LOVE would capture the win in the $15,000 KindredBio 1.40m Jumper Classic in an unbeatable time of 33.749. Second place would be won by Kaitlin Campbell and ROCKY W in a time of 34.367, followed by Richard Fellers and STEELBI in third with a fault-free jump-off in 35.709. Coming in fourth place was Tina Yates aboard CICOMEIN VDL in a time of 36.049 and Jamie Sailor rode to a fifth place finish in a time of 36.714 aboard FLASHDANCE. 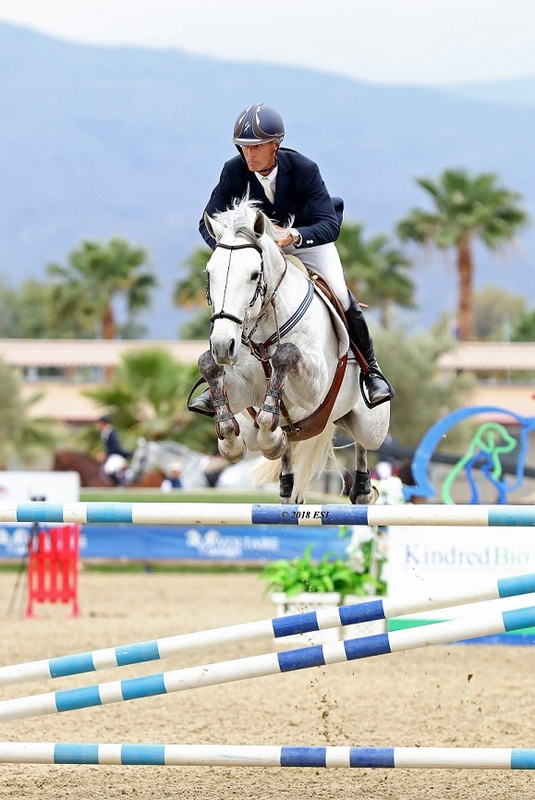 Richard Spooner, "The Master of Faster", takes home the win in the $15,000 Kindredbio 1.40m Jumper Classic aboard LOVE and secures the win for the KindredBio Leading Rider Award. 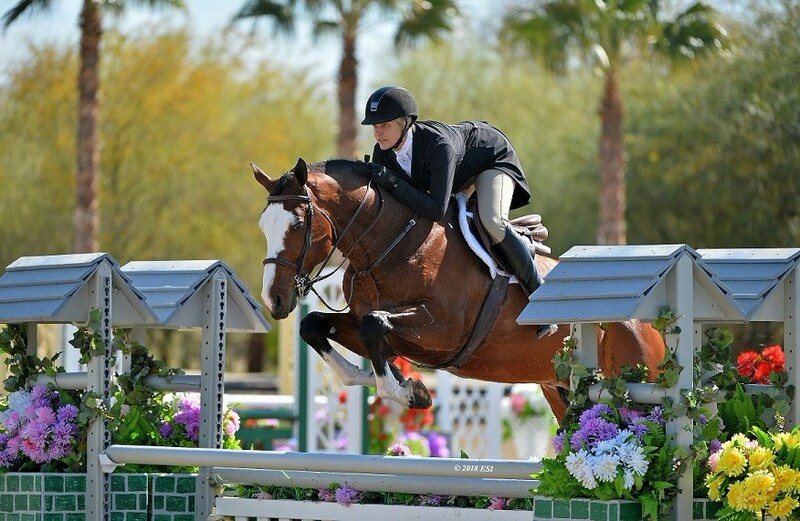 Taking home top honors in the $70,000 Ulcergard Grand Prix was Porter aboard MILANO in a time of 36.992. “He is a fighter in the ring, but a little obnoxious and full of himself in the barn. He is a competitor through and through. 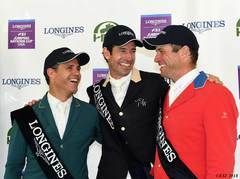 He wants to compete, he loves it,” Porter laughed. “My plan was to try to go fast [in the jump-off] because I knew that there were some pretty fast competitors after me. 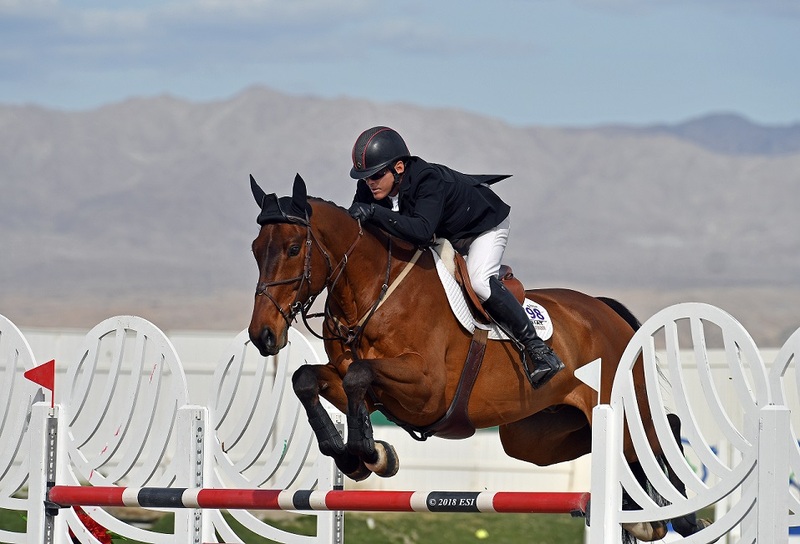 I didn’t quite get the rollback that I wanted to so I knew that I kind of left the door open there.” Porter returns for another week of competition here at HITS Desert Horse Park. 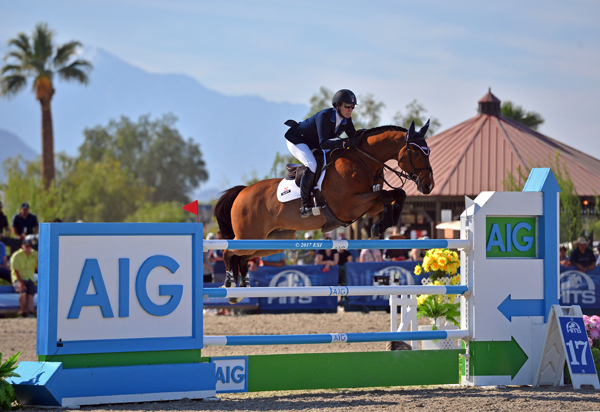 Look for her and MILANO as they compete to defend their champion title in the AIG $1 Million Grand Prix on Sunday, March 15. 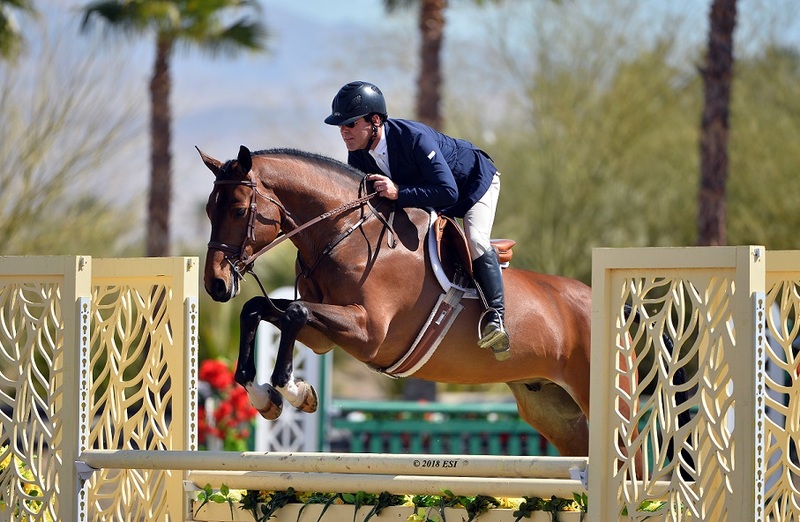 Many Porter and MILANO jumped to a first place finish in the $70,000 Ulcergard Grand Prix. This dynamic duo is gearing up to defend their title in the 2018 AIG $1 Million Grand Prix! Taking home second in Sunday’s Grand Prix was Cook and TEMBLA in a time of 38.262. Third place was won by Christian Heineking and NKH CARUSO in a time of 38.473, followed by Elizabeth Gingras and DAYLIGHT VDL in a time of 40.183. Rounding out the top five was Keri Potter and BITALICA in a four-fault time of 37.235. Peter Lombardo and ROMEO would take home top honors in the $5,000 Devoucoux Hunter Prix with leading scores of 89 and 90 for a combined total of 179. Scoring a two-round total of 172.5 aboard CATHARTIC was Lexi Wedemeyer, good for second place. A breakdown of Wedemeyer’s scores would include an 85.5 in the first round and an 87 in the second round. Third place would be awarded to Jenny Karazissis and UNDENIABLE with a first round score of 86 and a second round score of 85.5 for a combined total of 171.5. Peter Lombardo took home top honors in the $5,000 Devoucoux Hunter Prix aboard ROMEO with a combined score of 179. With an overall score of 169, Jaime Krupnick and CONUX would be awarded the blue ribbon in the $1,500 Platinum Performance Hunter Prix. Topping the field in the $1,500 Platinum Performance Hunter Prix was the dynamic duo consisting of Jaime Krupnick and CONUX with a combined score of 169. Krupnick scored an 84 in round one and a 85 in round two. Second place was awarded to Alexis Sokolov and HARVARD GRAD with scores of 86 and 76 in her two rounds for a two-round total of 172. Rounding out the top three in the Platinum Prix was Sherry Kozloff and FERRAGOMO with a first round score of 78 and a second round score of 81 for a two-round total of 159. The second $1,500 USHJA Pony Hunter Derby was held last week and taking home the blue ribbon and our congratulations was Avery Glynn riding CHICCOBELLO. Scoring a 85 in each of her rounds for a combined score of 170 secured the blue ribbon. Annika Singh and WON AND DUN would top the field in the second round with an 86.5 but her 77 from the first round gave them a 163.5 to secure second place overall. Rounding out the top three in the class was another ride by Glynn with an overall score of 163. Glynn, this time aboard CANDY CRUSH, scored an 83 in round one and an 80 in the second round to take home the yellow ribbon. Avery Glynn takes home the blue ribbon in the $1,500 USHJA Pony Hunter Derby aboard CHICCOBELLO. 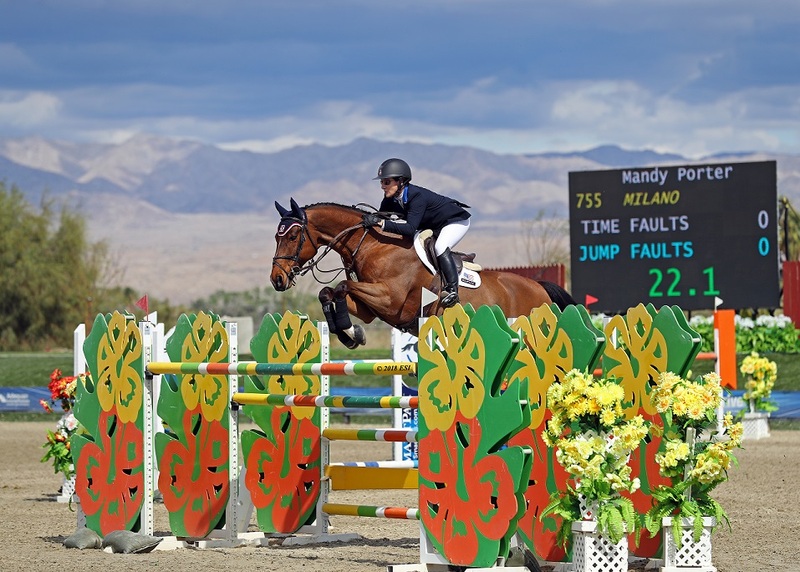 Seven weeks of unprecedented hunter and jumper competition has come and gone here at the HITS Desert Horse Park, but there is still more to come! Join us as we offer even more featured classes during the final week of competition in the desert. Featured hunter classes include the $2,500 Platinum Performance Hunter Prix and the $25,000 USHJA International Hunter Derby. Week VIII will also feature the Zone X NAJYRC Qualifiers and the Ronnie Mutch Equitation Championship. All this leads up to the coveted AIG $1 Million Grand Prix on Sunday, March 18, an event that you don’t want to miss out on!